It starts with a breath! When this very act, the basis of our existence is in danger, it’s time to wake up and take notice. The news of cyclones, flooding, erratic heatwave, smog and climate change are a reality; it’s time to take notice. Oxygen is critical to our survival, the alarming rate at which we’re destroying our world, it has become detrimental to our existence – it needs our help. We discovered a startup that is working on just this. Read on! Pollution, smog, fog, bad air quality are all results of urbanization and we are a part of this ever increasing, urban landscape that has less space for nature, trees, plants and animals and more area for concrete structures, air conditioners, cars, bikes and more and more machines that will only lead us to death. 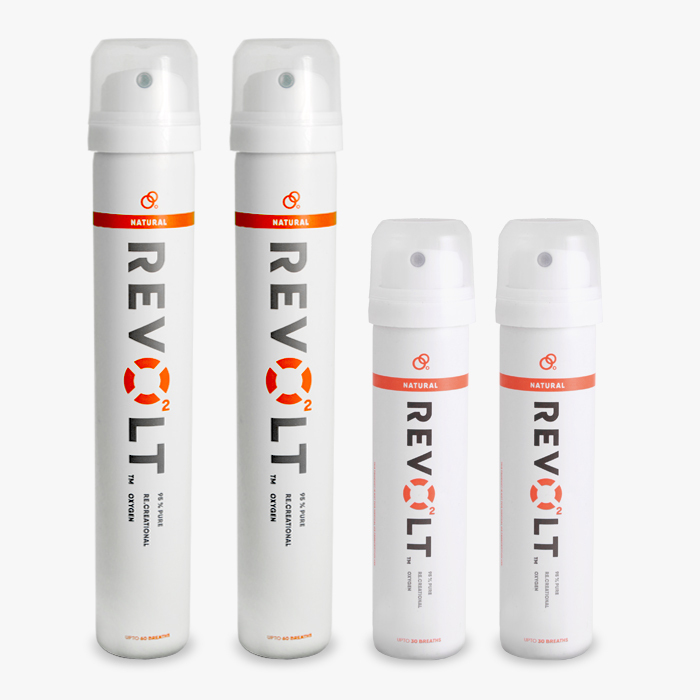 Revolt has been introduced as a purpose driven product – portable, enriched, recreational oxygen which is committed to giving our community the chance to breathe pure oxygen. With an ever increase in pollution, degrading air quality and modern lifestyle, we need bursts of energy to keep us going. Revolt is 95% pure recreational oxygen that restores our body’s level of oxygen and energizes us without any side effects. With 3-5 inhalations we are ready for life. The product comes in two different sizes and can be used for different situations and purposes like: Adventure, Sports, Fitness, Pollution, Stress and Focus, Urban Life, Claustrophobia, Travel, etc. 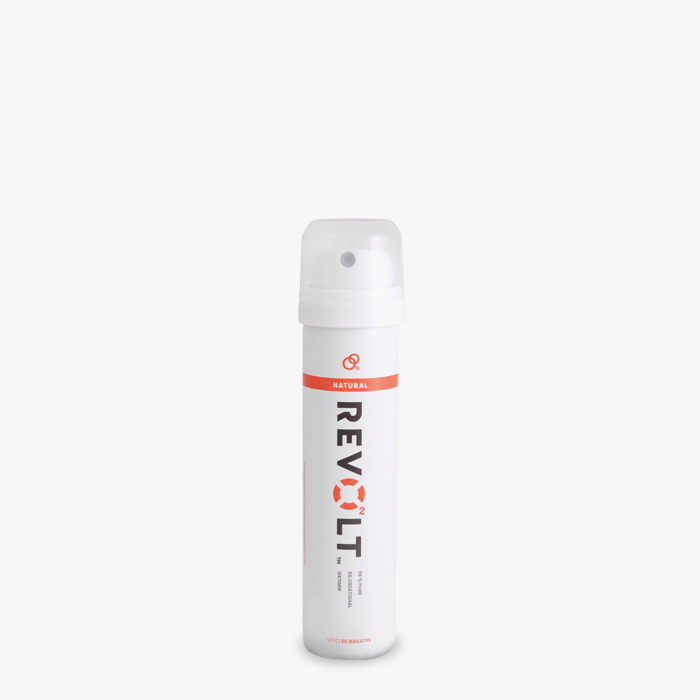 Contents: Revolt is 95% pure recreational oxygen that restores our body’s level of oxygen and energizes us without any side effects. Number of usage: With 3-5 inhalations we are ready for life. Available in: The product comes in two different sizes Revolt Mini and Revolt Slim. Volume: Revolt Mini: Up to 30 breaths Revolt Slim up to 60 breaths. When and where to use it: Adventure, Sports, Fitness, Pollution, Stress and Focus, Urban Life, Claustrophobia, Travel, etc. Portability: It can be carried anywhere and everywhere in your bag or you pockets. Transport: It can be transported by surface routes, Sea routes and Air routes with ease. Common people like you and me who want to take a clean step towards health as we all our victims of air pollution. Sports enthusiasts and athletes who experience muscle cramping and stiffness can soothe with a few breathes of Revolt. Pure oxygen also helps get rid of stress and regain focus and ups our energy levels. It can be used while you travel and experience a jet lag, feel lethargic and fatigued 3-5 inhalations will help you have a spirited journey. Mountaineers, hikers and fitness enthusiasts who travel to high altitudes where the oxygen levels are low, Revolt can be very handy for them. It also helps combat claustrophobia and anxiety of confined spaces with just a few breathes of oxygen which means you won’t have to gasp for air. If you have had a couple of drinks and are having a terrible hangover few breaths of oxygen is the perfect solution which gets your zeal back. In his early forties Prakash Saraf is a man with a lot more experience than his age permits with oxygen-related diseases. It doesn’t come as a surprise then that his passion for Revolt Oxygen is beyond imagination. 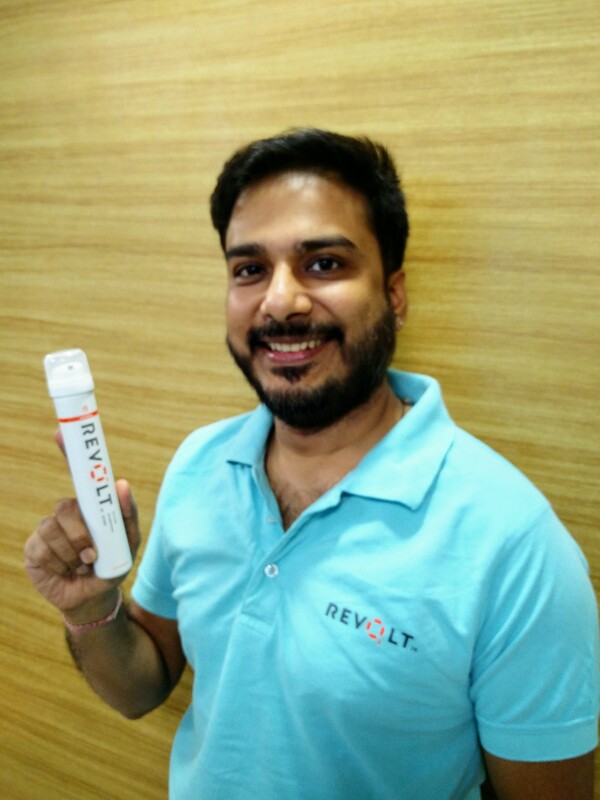 Founded in 2015, Revolt Oxygen is an honest initiative that came into existence after Prakash was diagnosed with a life-threatening health condition. Prakash who was living in Tbilisi, Georgia was a successful, healthy man invested in his construction business in the country. But by some fate he had to go in for a health check up. This was to get a Georgian license and thus it was a regular health check-up which turned out to be a health scare as the doctors looked extremely worried while Prakash felt hale and hearty. They told Prakash he needed to taken into medical care immediately as his condition was extremely severe. Further tests revealed a temporary condition of dilated cardiomyopathy (heart enlargement) which only gets worst with every passing day. A disheartened Prakash packed his bags and came back to his family that consists of a beautiful wife and three children all dependent on the man of the house. After his return he consulted several doctors and tried to find out the cause of this disease but there was none. It’s a lifestyle disease that can occur to anyone. 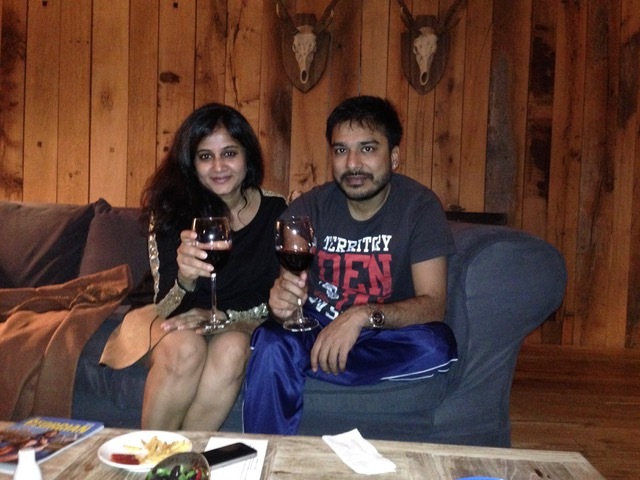 But it affected Prakash in spite of him leading an extremely healthy and active lifestyle. While he began to get treated he also began to research on the cause of his disease and in the process came across information that revealed that bad air quality is a major cause of deaths in Georgia. Georgia happens to import used cars which generate excessive pollution that is sometimes harmful and in this case life-threatening. Bad air quality is also a silent killer leading to heart diseases, stroke and lung cancer. So as he was undergoing treatment, Prakash began to use oxygen cans which he would order from the United States as there were none available in India. That’s when the idea of an Oxygen cans being made available to people in India who are also surrounded by pollution and bad air quality came to the man. So after he got better and back to life is when he began serious work in developing this product – an oxygen can with 95 % pure oxygen for recreational purposes. Due to his untimely illness, Prakash had to cut-short his work in Georgia and relocate back to India. So he now began to plan his future here and put all his life-savings to self-fund a product that he truly believed in. He put up a manufacturing unit in Goregaon, Mumbai where Revolt Oxygen, one of its kind product available now for Indians in India, is produced and packaged. Under the flagship company name of Oxymeal Wellness, their corporate office is in Andheri, Mumbai where all the sales, marketing and distribution takes place. The product is made with the simple aim of revolting against the pollution and degradation of natural resources which leaves us with innumerable illnesses. Making 95% pure oxygen available in a can makes it possible for people to breathe clean air in just a few puffs. A purpose-driven and portable product Revolt has already caught the fancy of fitness enthusiasts, health freaks, trekkers, travelers and tourists who have used this for various purposes and have come back with great reviews. In fact its owner Mr. Prakash himself used canned oxygen which he ordered from the US while he was on his way to recovery in 2016. The long-term goal of the brand is to spread awareness about how important pure oxygen is through CSR activities and fruitful associations with NGOs that will help them spread the message and take a step forward in saving the environment. In fact the stepping stone of their social work activities was an Eye Camp in Khambat, Gujarat done by the youth of Rotaract Club of Mumbai Downtown that Revolt Oxygen sponsored and helped save many people’s eyes in the process. So Revolt Oxygen is not just a startup which is here to make money. It’s born out of a personal life-threatening experience that has proved how important clean oxygen is, thus the product has emotional and personal values attached to it. Revolt Oxygen is a purpose orientated brand that wants people to know the importance of a healthy lifestyle and is making every effort in doing so with their constant and undying commitment to this revolutionary product. The owner and his team are extremely committed to spread the word and help people in need with this little can of life.